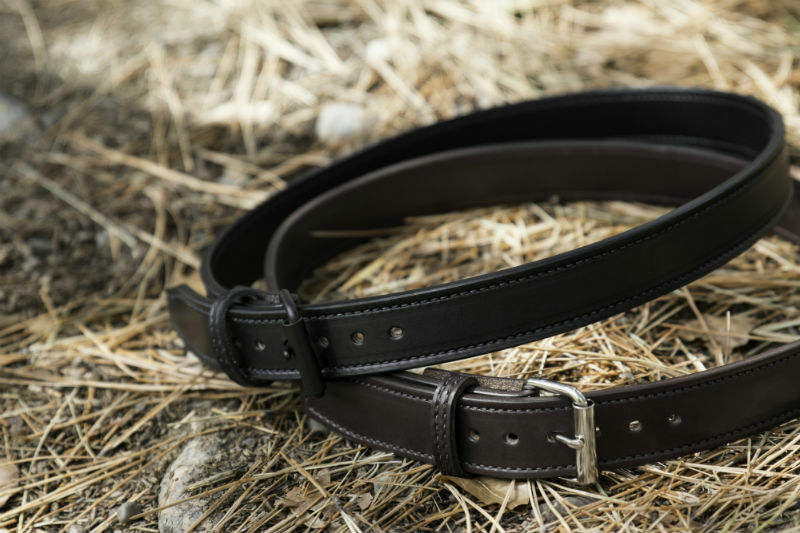 The human race is fortunate to include a wide spectrum of body types of all shapes, sizes and colors, but equipping those bodies with the right apparel can be challenging, especially when it comes to gun belts for big guys. The size of waistlines may shift, and where pants rest depends on personal taste, but holding pants up while carrying a holster does not have to be a challenge. One thing needs to be defined -- the waistline and how it relates to which leather belts on big guys work the best. From a patternmaking and tailoring standpoint, the natural waistline rests just above the hips and below the ribs, so basically around the navel. However, with shifting trends in the apparel industry, pants will typically rest anywhere between the natural waistline and the hipline, another measurement taken and incorporated into the fit of clothing. This is the important distinction to make. Often, folks have to make a decision about where their pants rest based on personal taste, current “fashion” and body type. The plus-sized belly, however, extends forward and downward, leaving a hanging area of flesh that makes waistline measurement and belt use a hassle, depending on the approach. This means a decision must be made to wear the pants on the natural waistline or below the stomach and on the hips, where the size number differs and where vanity sizing, a push from either a company or consumer to have a lower number on their waistline to increase confidence, comes into play. The natural waistline and the hip line are different dimensions, of course. The natural waistline, however, is seen as “high-waisted” for shorts or pants these days. That is incorrect as far as tailoring is concerned. Typically, dress pants like chinos or slacks will rest on the natural waistline, again a different size number than where casual clothing rests, which is lower and on the hips. Why does this information matter? Because the sizing on the belt will be different in both places and the level of comfort will shift based on how the belt is worn, how long it’s worn, what material it is made of and what environment the belt will be used in. With the two separate measurements taken into account, the fact that a firearm may be placed on the belt, personal taste, comfort and the products the apparel industry offers, this creates a perfect storm for body types that have less clothing accessories offered for them in the marketplace. That is not an issue, though. With the right approach, all body types can be appropriately and comfortably outfitted for any situation. That title is a trick, because there is no right gun belt for “fat guys.” There are only belts made in specific widths and lengths to match different body types and shapes, let alone which material is chosen why and how, as well as which accessories the belt can be outfitted with. Any branded messaging that touts “fat guy or gal belts” is just a marketing ploy. Here’s the trick to choosing the correctly sized belt, end of story. Measure where on the waistline a belt will be -- given the clothing worn -- and find the right outlet that sells that size. Some outlets may not offer a size large enough. Gratefully, DIY projects can save the day. Some people measure, trim and stitch together completely separate belts to fit the body. If the individual only wants to buy one belt that will serve both casual and formal environments where the pants may rest on different areas of the body, buy a belt at the largest size and make sure it has the right notches to scale down to when using it with different pants that rest in another area on the body. Wider belts cinched tighter will more evenly distribute the pressure used to hold pants up than a narrow belt would. The size of the belt buckle will also affect comfort in some situations, which is well known by plus-sized demographics. The metal buckle may dig into the soft skin beneath the belly. This is an easy fix. Either choose a smaller, low-profile belt buckle or reposition it. 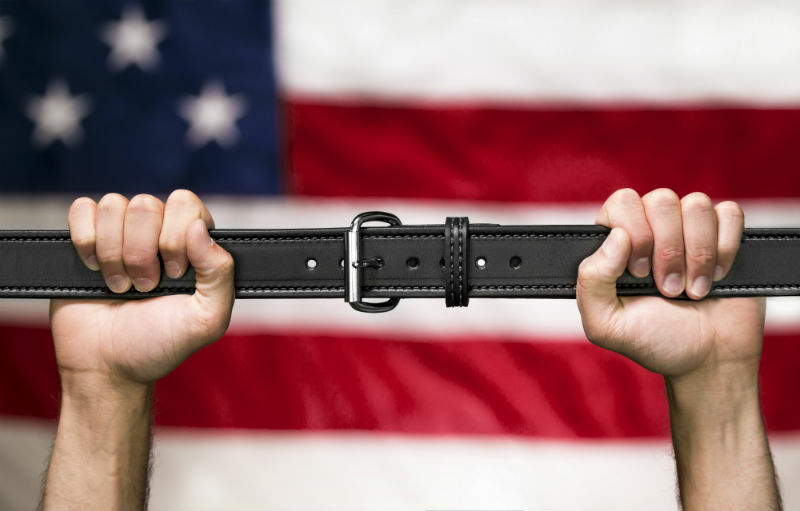 The belt can rest higher by pulling the pants higher or the belt can be rotated so the buckle rests up to 90 degrees right or left of center waist. The placement of the rotated belt and belt buckle may be affected by where a holster will rest on the waist. Rotating the belt on the body may seem or look silly to some, but hang a shirt or jacket over it and no one would know the difference except for your more comfortable waist. Of course, there are other options outside the leather belt. Suspenders are great in many environments and pants can easily be tailored to accommodate space and button holes for them, whether they’re clipped or fastened on. A firearm’s holster will subsequently change. There are malleable canvas belts (not as secure for carrying a firearm) that cinch on the body with two small metal loops. 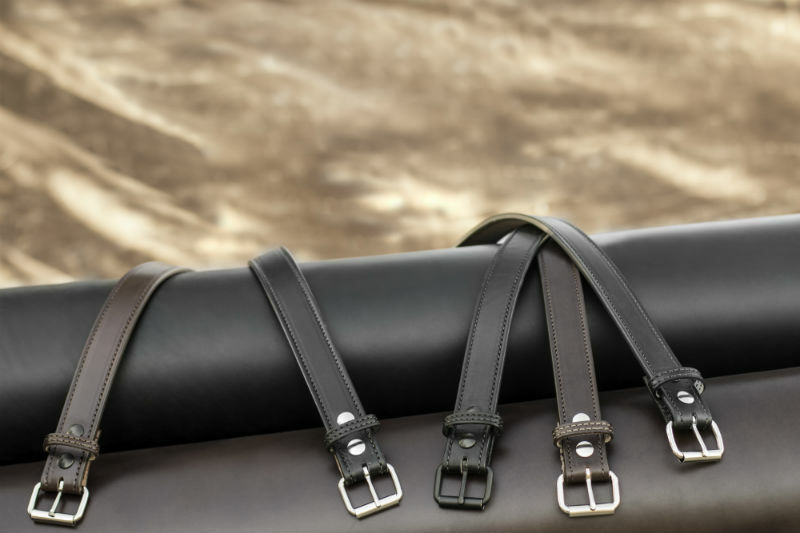 Alternatively, the stiffness of the leather can impact different waists. When carrying a firearm, however, belt sag should be avoided at all costs. Additionally, the quality of the materials and the way they rest on the body should be thoroughly considered. Belt warping and curving can and will occur in many types of belts. This is not always a bad thing. Just as shoes conform to feet and denim over time becomes more loose and comfortable on the body, belts stretch and react to the body, especially given that there is consistent pressure applied to them throughout the day. In any case, just know that there are always options and that body sizes and shapes should never inhibit the utility and personal style of apparel. Health factors aside, all bodies should be celebrated. Celebrate your belly with a belt that fits right.